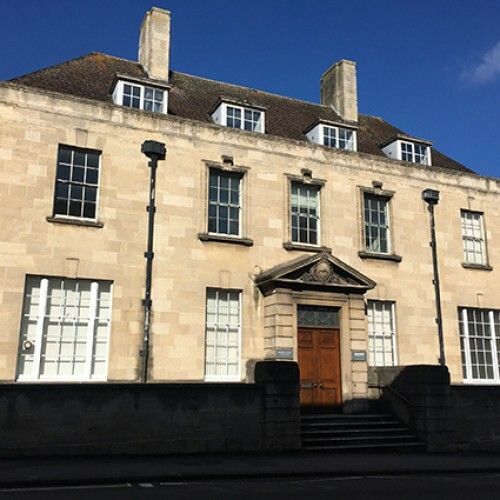 Drawing Projects UK is a centre for drawing and contemporary art at Bridge House, a landmark building in the county town of Trowbridge. Adjacent to Trowbridge Station, Bridge House is served by excellent public transport links and public parking. There is a small car park for permit and disabled parking only. 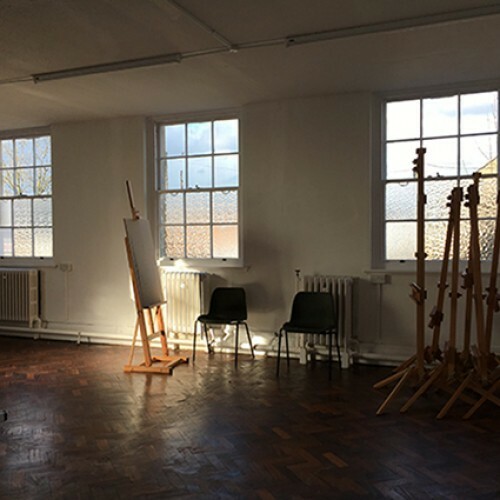 The Drawing Centre Project Space is a large room with parquet floor and excellent natural light, it can be used for larger gatherings and events for up to 50 people. 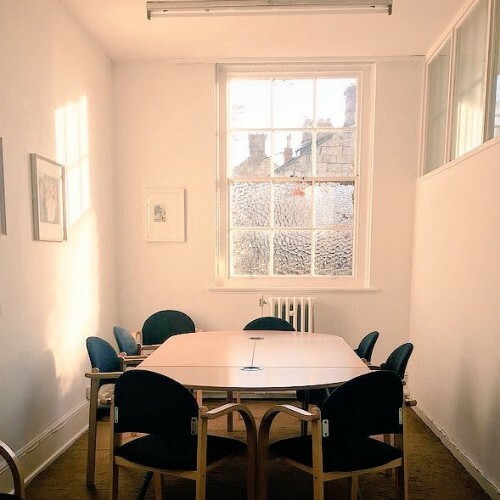 There are also ancillary meeting rooms spaces, for 20-25 people (Room 1), 8-10 people (Room 13) and a small meeting room for up to 4 people (Room 9). Studio Cafe seats up to 25 and provides catering for all events, and is also available to book as an event space. Availability: The Drawing Centre Project Space and meeting rooms are available to book from Monday - Saturday 8am -9pm. Sunday hires will be considered between 10am-4pm. 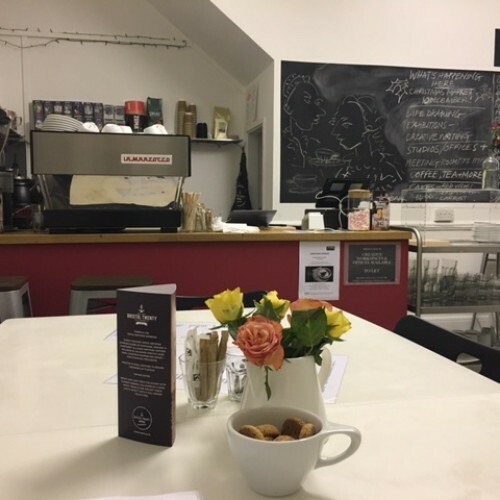 The Studio Cafe is available to book in the evenings for events (Monday-Saturday), and daytime events may also possible, please enquire. 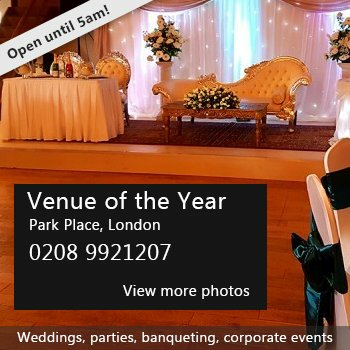 Hire Costs: All spaces are available to hire on an hourly, half day/evening or daily rate. Indicative hourly rates are from £10-£40 per room; half day/evening rates from £24-£112 per room, and day rates from £48-£192 per room, dependent on size of room booked, booking dates/times and use. Discounts are available for regular short-term or weekly rentals. Please contact us to discuss your requirements and we will provide further details and a quotation. There have been 0 reviews of Drawing Projects UK Meeting Rooms, Project Space & Studio Cafe. 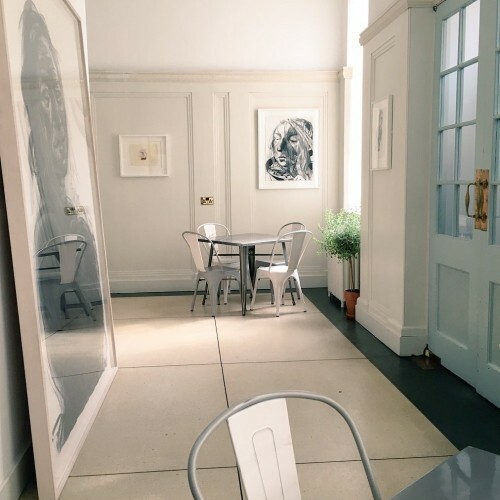 If you would like to send Drawing Projects UK Meeting Rooms, Project Space & Studio Cafe a booking enquiry, please fill in the form below and click 'send'. Perhaps some of the following halls within 5 miles of Drawing Projects UK Meeting Rooms, Project Space & Studio Cafe would also be of interest?